There is nothing worse than getting to a rehearsal (or heaven forbid, a CONCERT!) and realizing that you forgot about page turns. The quick fix? Prepare your page turns! 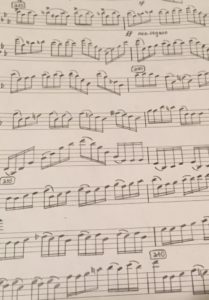 Go through the entire piece (or pieces) and determine which page turns are difficult as printed. Get crafty with scissors and tape to make the necessary adjustments. ALWAYS photocopy the pages you are cutting and taping! NEVER damage your original copies! 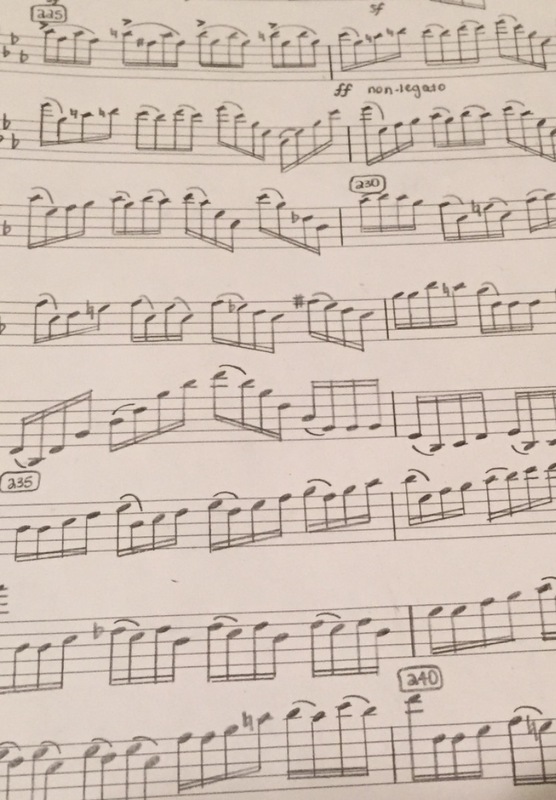 Sometimes this is as simple as photocopying a single page to turn out before you play a movement. Other times might involve adding a few lines of music before a rest (aka a reasonable place to turn the page).